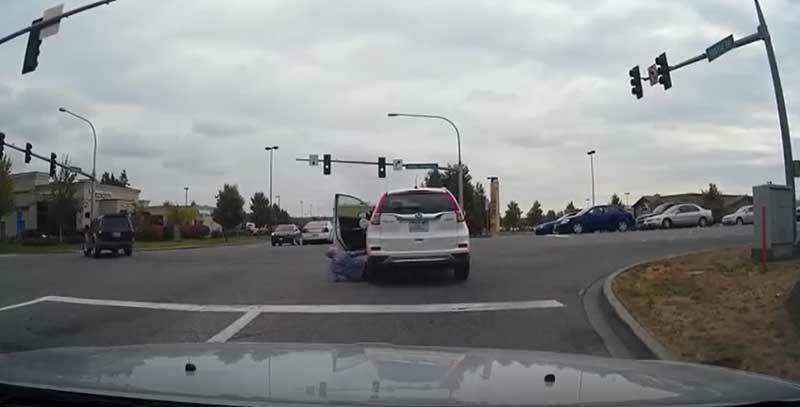 A woman who was accidentally run over by her own car survived and walked away. 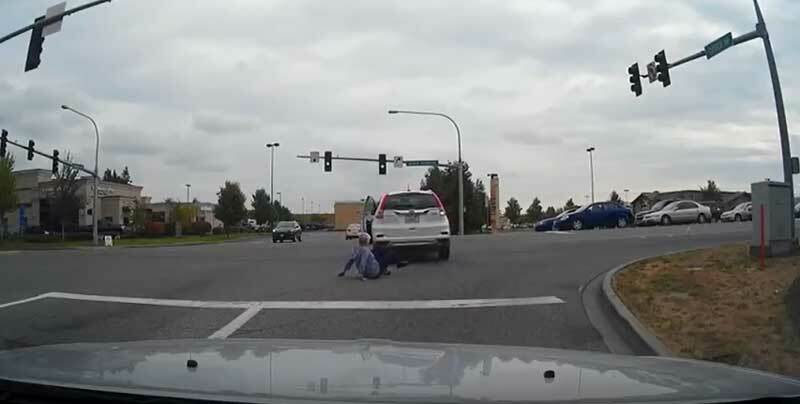 The incident was seen by the driver behind her who caught the entire mishap on his dash cam. The accident happened on Tuesday in the parking lot of Costco in Burlington, Washington, as the woman waited in her vehicle at a red light. Another driver pulled up to signal that her gas cap was loose. She then stepped out and walking to the back of the car. David Alger is the driver who was behind her and watched as his camera recorded. "She just went to pick up the gas cap and realised the car was moving, so she went back to jump back into the car and grab the steering wheel," he recalled. "And as she grabbed the steering wheel with the car still moving forward, I would imagine the wheel turned to the left and that's when she was dragged underneath the left rear tyre and run over. Both legs. Went right up over her buttock and over both legs." 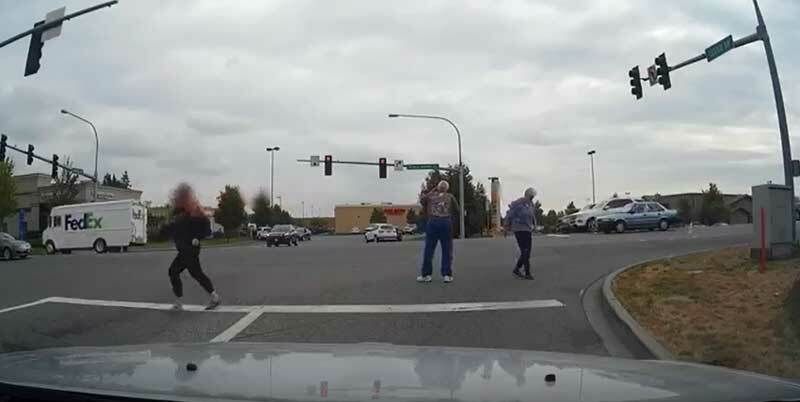 Alger jumped out of his car to help, and was astounded when the woman got right to her feet. "She wanted to take off after the vehicle and run through the intersection and I said, 'Whoa, hold on here. How are you, let me help you, hold on to me.' And she said, 'I'm fine. There's nothing wrong with me I'm fine,'" he said. Other drivers tried to stop her rolling vehicle, but a tree did the trick. Alger said he feels terrible for the woman, but blames the unusual accident on simple distraction. "She was distracted so she got out. I remember her looking up at the red light, 'Oh, I got plenty of time, go screw the cap in,' " he said. "But she forgot one thing. And that was putting the car in park." 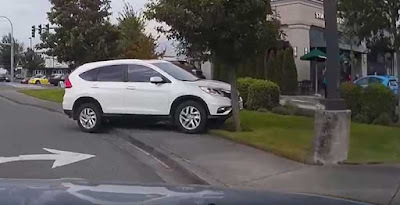 After police and paramedics checked her out, the woman drove away in her own vehicle. He did not get her name, and police are protecting her privacy, concerned she may be embarrassed.